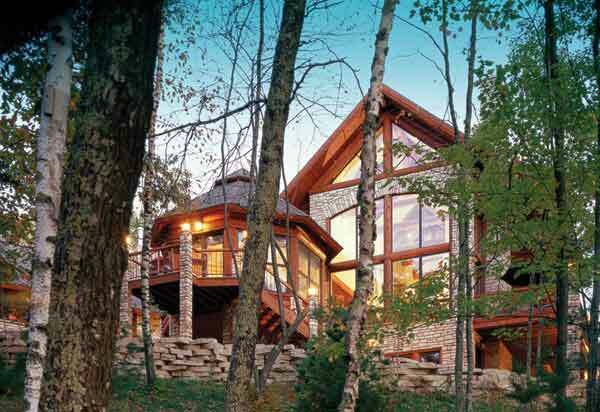 Contemporary architecture, massive log trusses and beams, plaster, stone, and trapezoid and arched window configurations trimmed in log combine to create the unique White Cliff. 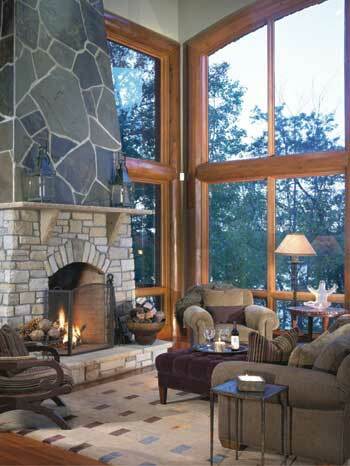 Other unique features include an indoor towering stone waterfall, English pub style kitchen and glass railing system. 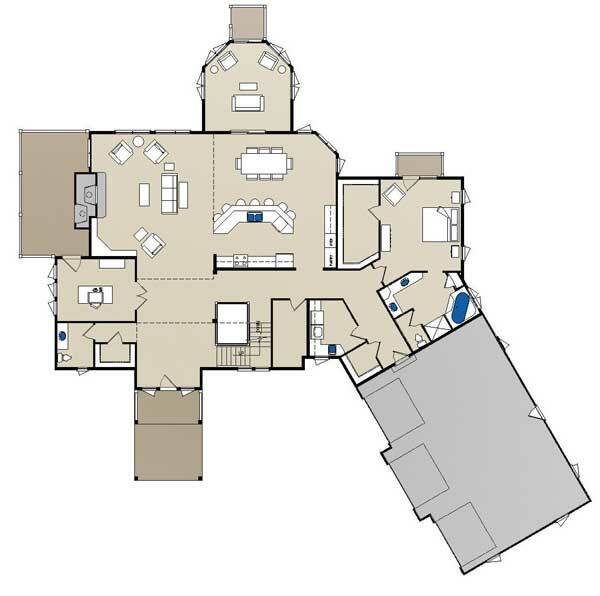 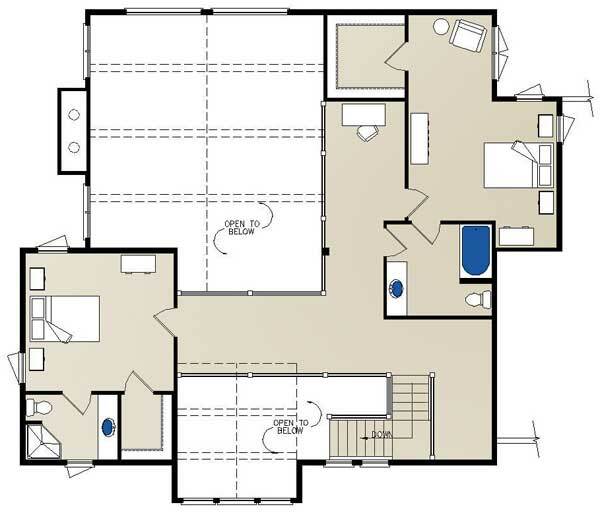 Modify this plan to fit your family's needs, style, location and budget.